Drew & Jonathan Scott from HGTV's Property Brothers - Saturday, February 23rd. Clint Harp from DIY Network's Wood Work and HGTV's Fixer Upper - Friday, March 1st & 2nd. Twin Cities favorites Brad and Heather Fox of HGTV's Stay or Sell - Friday, February 22nd - Sunday February 24th. Think contemporary. Think timeless. Think home. EPS Homes is back again with a modern all white design with Timeless Contemporary as their theme. With everything from custom cabinets to innovative built-ins and the newest finds in furniture, accessories, and lighting design. Furnishings are provided by HOM Furniture landscaping from The Garden By The Woods, and windows by Andersen Windows. 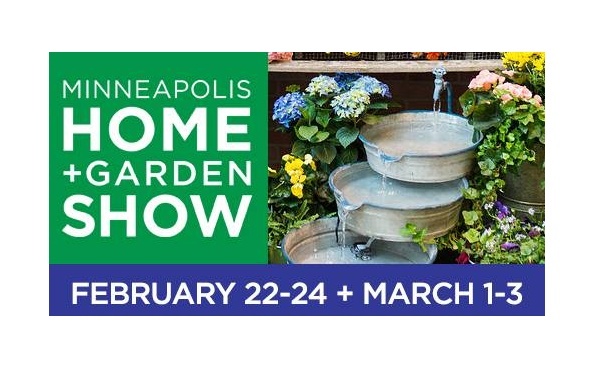 Seven of the most talented landscapers from all over Minnesota will showcase their expertise with using “Doorway to Spring” as their inspiration and theme! Returning in 2019! Visitors can bring the whole gang to experience the new Family Zone PLUS kids 12 and under are free opening weekend! Guests young and old can experience bike demos with Penn Cycle, Segway rides with Human on a Stick Segway Tours, take-part in children’s DIY workshops, practice their skills on the putting green, check out a mini escape room and a slew of other activities to add some fun to the weekend.